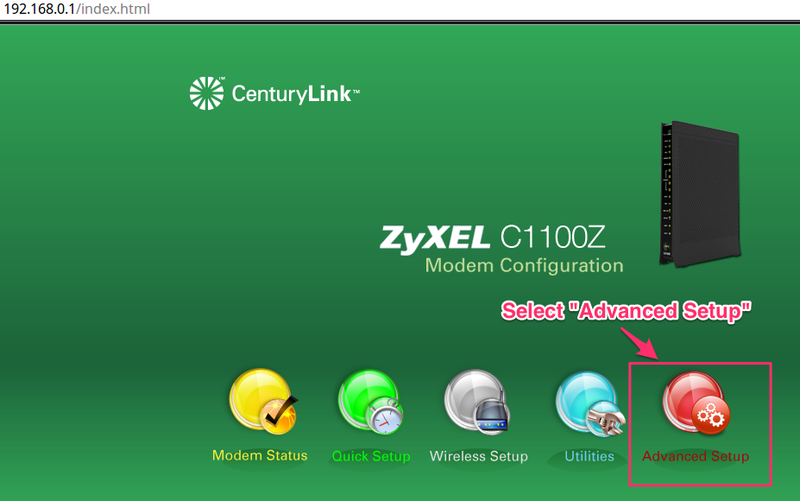 Configure CleanBrowsing on a CenturyLink router. You will need to log in using your administrator credentials. Click on the Advanced Setup button. The DNS options are located inside the WAN settings panel. Click on WAN Settings located under Broadband Settings. On the WAN Settings page you need to scroll to the Set The DNS Type. Select Static DNS in order to type in your DNS entries. You will need to enter a unique IP entry for both the Primary and Secondary DNS input boxes. You can use any of our free filters or any of the IPs provided in your paid plans. The final step is to verify the DNS configuration is working. You can do this by using DNS Leak Test. It can take 10 - 15 minutes for the change to take affect, be patient. The additional time is the time required for your computer DHCP Lease to get the new DNS. If you disable your Wifi and re-enable, it will force it right away. To test, try to visit badexample.com and you should be blocked (getting domain not founder error on your browser).